What changes are expected in the casino industry in 2014? As we wrap up another year, it’s time to look ahead to see what’s in store for 2014. If you’re an online casino player, there’s a ton to look forward to. But we’re not talking about new games. That’s a given. At Palace of Chance, we’ve added about 12 new games this year alone. Next year, we’ll likely add even more. No, we’re talking about industry trends, in the United States and around the world. 2014 promises to be interesting year for online casino players. Here’s a look at our biggest predictions for the New Year. 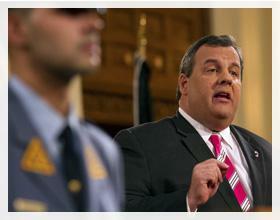 We’ve seen New Jersey launched state-regulated casinos. And both Delaware and Nevada have licensed online poker rooms. As these states start to make money, expect to see more states follow suit in 2014. That doesn’t mean new regulated sites will launch in 2014. But expect various states to “explore” the ideas of online casinos. We actually think this is kind of funny because it’s technically already legal for Americans to play at online casinos. And many sites are open to Americans, even without being regulated stateside. 2013 was the year of 3D movies, with virtually every motion picture being released in 3D alongside 2D. In fact, it’s harder to find a non-3D movie in the theaters nowadays. Expect the same for online slots in 2014. No, you won’t need 3D glasses to play. Thanks so widescreen technology, you’ll get sharper animations and characters that seem to jump out of your screen—no glasses or special computer required. Now that the United States has confirmed that BitCoin is a legitimate currency, expect to see more and more online casinos jumping on board to accept the virtual currency. But more BitCoin acceptance doesn’t equal more adoption by casino players. We expect to see the US dollar remain the currency of choice for years to come thanks to the volatility of BitCoin—not to mention the complex nature of it—turning casino players off. As more and more online casinos flood the market, you can expect to see states and Native American tribes build bigger and better casinos, or improve their existing ones. Why? Because contrary to popular belief, online casinos don’t take business away from land-based casinos. They simply fuel the desire for people to play. Nothing replaces a night out at a casino with friends or a trip to Vegas, no matter how great an online casino might be. We’ve noticed this trend in 2013. A lot of online casinos are limiting their free games to just a handful of slots and table games. We think this trend will continue into 2014, but we won’t be a part of it. At Palace of Chance, you can play loads of free games without ever making a deposit. And we never turn off the tap, so to speak. Not today. Not in 2014. So go ahead and enjoy as many free games as you like, no questions asked. The Palace is officially open—24/7 and no credit card required.